When your Customer Gives You as a Gift… that’s a Win Win! Gift & Loyalty Cards are a great way of building your business. Research has shown that people tend to spend more at your business than the value of the gift card. With A-1 Merchant Solutions, a partner of CCBizPro & Integrity Payment Systems, you can develop a gift card program that will engage your customers and motivate return visits so shopping at your location has a chance to become habitual. 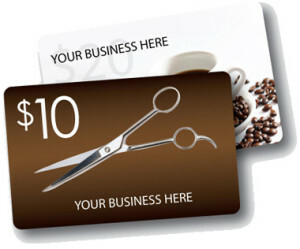 If your business is new to gift cards, we have a “starter program” to help you launch your first effort. If gift cards have already proven successful for your business then we have customized programs and cards that can meet whatever your needs may be. Additionally, A-1 Merchant Solutions, a partner of CCBizPro & Integrity Payment Systems, offers flexible solutions that integrate with your POS system to ensure a smooth redemption process. We’ll be happy to go into detail with you about our gift card program or about all of our benefits and services. Because we are a direct service provider, we can offer you a free, no obligation evaluation of your existing credit card pricing to see that you are currently being priced properly. We’ll give you the truth, whether the news is good or not so good. Simply call customer service at 518-763-4000.